It was donated to the city by China, whose president Xi Jinping hailed Marx on Friday as “the greatest thinker of modern times”. The Chinese leader’s Communist Party say they have drawn wisdom from the German philosopher, who co-authored The Communist Manifesto with Friedrich Engels in 1848. The pair are considered to be the founding fathers of communism, a political theory in which property and resources are owned by a classless society and not by individuals. But in practice, the reality of countries describing themselves as communist has been different, with the Soviet Union and China being governed by dictators whose policies led to the deaths of millions of people. Countries that fell into the Soviet sphere of influence after World War II, such as East Germany, were also lagging behind the capitalist West economically. 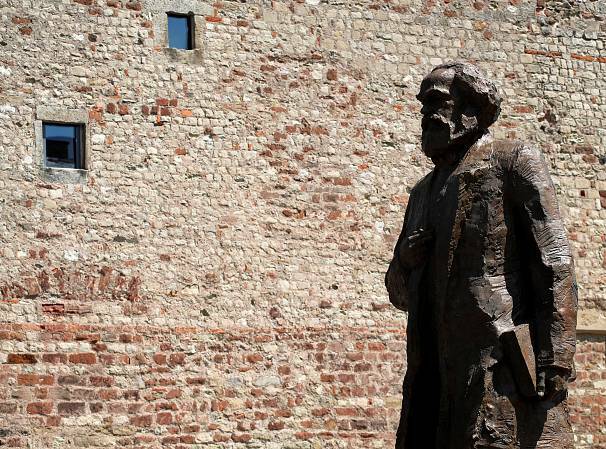 Dual opinion on Marx’s political influence has consequently divided Germany and both protests and counter-protests were planned for the statue unveiling. The proposed demonstrations prompted Trier spokesman Michael Schmitz to issue a warning via local media, saying on Friday "if you want to criticise Marx, you are welcome to do so, but not with violence or destructive rage". 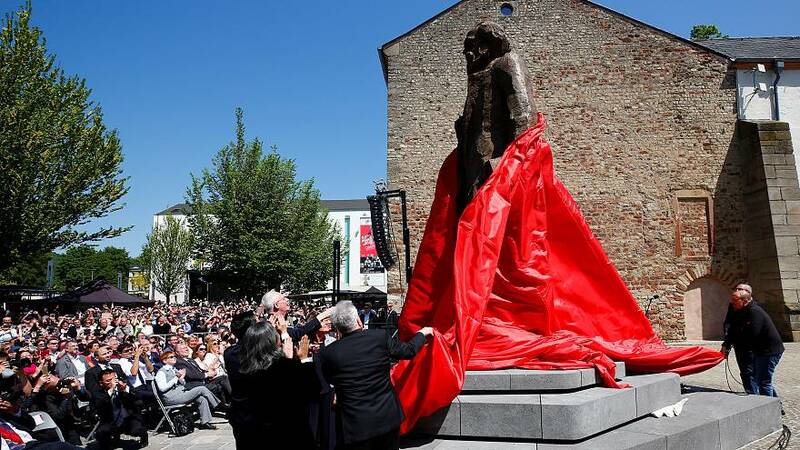 His comments coincided with a visit from EU Commission President Jean-Claude Juncker, who stopped by to open a series of exhibitions as part of Marx’s birthday celebrations.